Successfully Added HK Warehouse UMI London Smartphone - Android 6.0, Quad Core CPU, 5 Inch IPS Dual T2X-1 Glass Screen, 2050mAh Battery (Gold) to your Shopping Cart. 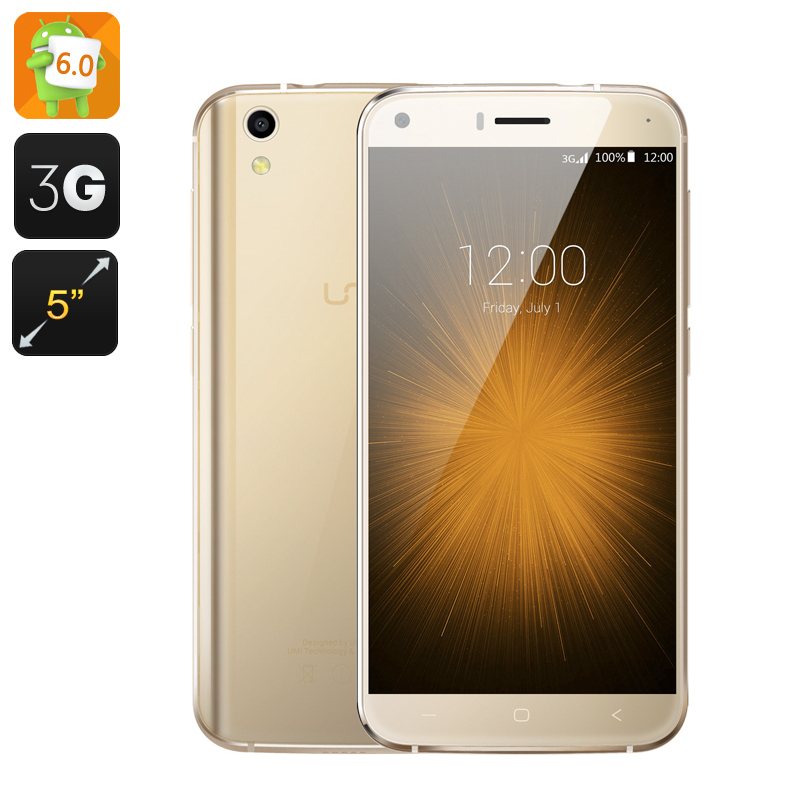 The UMI London is a budget cell phone that has been designed for all day use. It has an exquisite aluminum alloy frame that brings great strength without adding extra weight. Adopting a unique dual glass protection the screen has a double layer of toughened glass with 3M double coated foam tapes to keep the front panel well protected from damage. This makes the screen incredibly sturdy letting it stand up to unexpected damage and brining great drop protection. A highly valuable asset when using your phone all day every day. Beneath that toughened front is a 5 inch HD Sharp IPS screen that brings 720P resolutions so you can enjoy great quality viewing, whether its games, surfing the web or movies. The phone is powered by an MTK6580 quad core CPU clocked at 1.4 GHZ and has 1GB of RAM as well as the Mali 400Mp GPU so it can handle all your daily phone needs as well as tackle most games with relative ease. Running the Android 6.0 Marshmallow operating system brings a great user interface that makes for a smooth user experience and the additional smart wake and gesture sensing features offer further enhancements to the user experience as you can open apps from the locked screen and scroll through media libraries and options with just the wave of a hand. With its 2050mAh battery the UMI brings hours of usage for internet browsing, video playback, listening to music and loads of call time so you can enjoy it all on the UMI London. The UMI London smartphone comes with a 12 months warranty, brought to you by the leader in electronic devices as well as wholesale Android smartphones..